DUE TO OVERWHELMING DEMAND – 2ND MELBOURNE SHOW ADDED! COUNTING CROWS, the multi-platinum American rock band, have confirmed a second and final Melbourne show due to overwhelming demand. The seven-piece head Down Under for what will be their first national headline tour since 2004, following the April 2012 release of their first new album in more than four years, ‘Underwater Sunshine (Or What We Did On Our Summer Vacation)’. Counting Crows will perform their final Melbourne performance at Hamer Hall on Sunday March 31. Tickets for this show will go on sale at 9am next Friday, February 1. Only a handful of tickets remain available for the first show on Saturday March 30. Head to www.livenation.com.au for full tour and ticketing information. The album delivers 15 beautifully interpreted songs from the early 1960s up to 2012, honouring lesser-known tracks from a varied range of artists including: Gram Parsons, Bob Dylan, The Faces, Teenage Fanclub, Travis and Kasey Anderson. 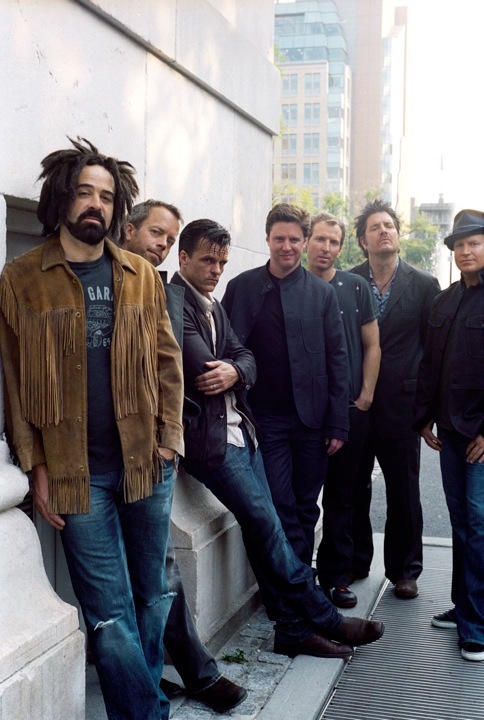 Formed in 1991 and hailing from the San Francisco Bay area, Counting Crows – Adam Duritz (vocals), Jim Bogios (drums), David Bryson (guitar), Charlie Gillingham (keyboards), David Immergluck (guitar), Millard Powers (bass) and Dan Vickrey (guitar) – burst into life with their 1993, seven-times platinum classic debut album ‘August and Everything After’, featuring the massive hit single ‘Mr Jones’. Still thriving critically and commercially after 20 years, Counting Crows have sold more than 20 million albums worldwide. 250 artists. These businesses power Live Nation Network, the leading provider of entertainment marketing solutions, enabling over 800 advertisers to tap into the 200 million consumers Live Nation delivers annually through its live event and digital platforms. For additional information, visit www.livenation.com/investors.